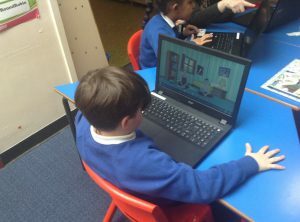 In preparation for our SATs in May, some Year 2 children have been enjoying some extra games and activities after school. 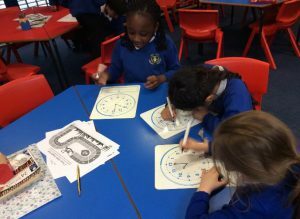 This week we focused on time; understanding o’clock, quarter past, half past and quarter to. 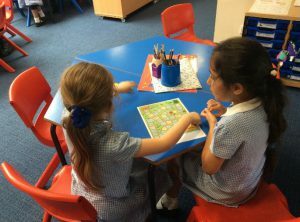 Some of the children are beginning to understand telling the time to the nearest five minutes. 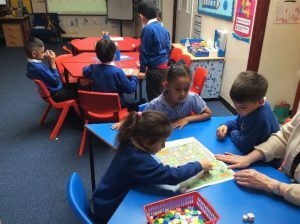 We had lots of fun playing games and testing each other on times! 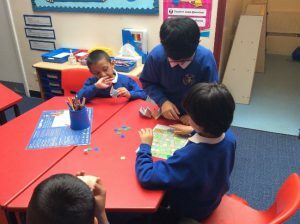 This week, to continue practising for our SPaG paper, we have been having fun playing a conjunction game. 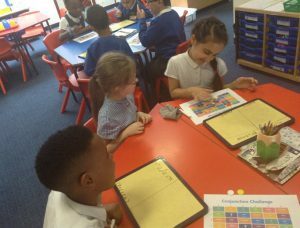 The children got very competitive playing against each other and seeing how many sentences they could think of using a range of conjunctions so that they could collect the most points to win! This week we had fun making a homophone fortune teller. 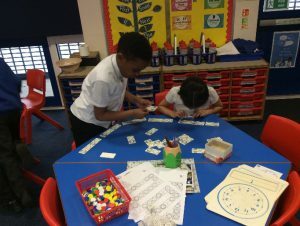 The children watched how to make them and then made their own carefully! 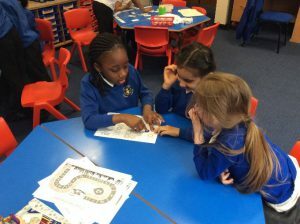 When they had finished, they used them to ask each other which homophone would be correct to complete the sentences inside. 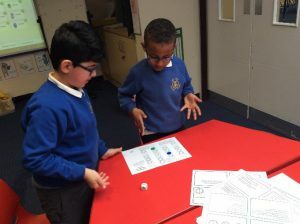 Some of the children also had fun playing a range of board games which required them to practise their addition, multiplication, division and knowledge of conjunctions. 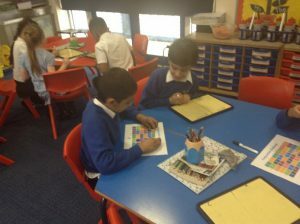 They worked nicely together, in pairs and small groups. 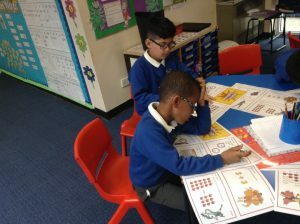 This week, in our final week before our Maths SATs, the children have worked really hard on their Maths challenges. 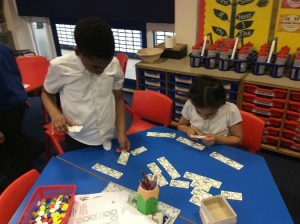 They focused well and helped each other, showing great team work and determination to get the correct answers. 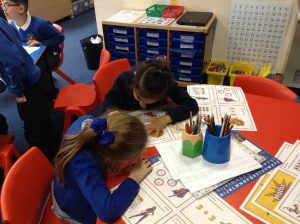 We are doing well at reading questions and working out what they are asking us to do. 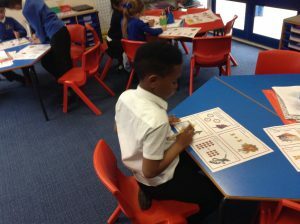 The children are applying their taught skills in different contexts, well done!